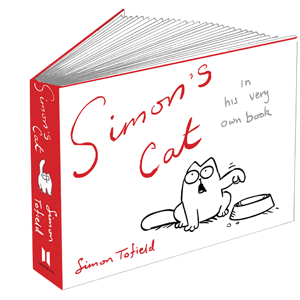 Have you seen or heard about Simon's Cat? I've been a fan for awhile after discovering him on YouTube. I was thrilled when I was given the chance to review his upcoming book a couple months ago. I had it sent to my office, but since I was home sick I didn't know if it had arrived or not. It has!! I went in to work today, first time in two weeks, but my boss sent me home and told me not to come back until I'm completely recovered from my illness, I looked that bad. Pneumonia takes a lot out of a girl! At least now I have something to look forward to reading while home. Look for my review in the next couple weeks! I love love love Simon! How did you get to review it?